The time has arrived to announce our 2017 festival programme – and we are so excited about it! With a total of 28 outstanding concerts for everyone to enjoy, this year’s festival takes place from Friday 13th October to Sunday 21st October 2017 across a total of 13 beautiful venues in Dartmoor and Exmoor. Final concert brings the North Devon Sinfonia, winners of BBC Four’s ‘All Together Now – The Great Orchestra Challenge’, who will be performing Haydn’s Creation. The singers for the Festival chorus are local choral singers, largely made up of members of 2MF and the Devon Wildlife Trust, our community partner for this event. We can’t wait to see you again for another wonderful festival! The first round of the Two Moors Festival’s Young Musicians Platform competition took place this weekend. A total of 47 candidates aged 18 and under entered at a standard of ABRSM Grade 7 and above. This could be any instrument plus voice and they were asked to prepare two contrasting pieces of their choice. The competition is unique in several ways. The first is that we look for four outstanding players and not just one. The emphasis is on performance and ability to share an innate love of music with an audience. The audition atmosphere is unlike any other in that we chat in a fun way to each candidate from the moment they walk through the door and we also give a mini masterclass if there’s time. Each of the winners receives £250 plus an opportunity to share a recital in the main festival. Judging from the feedback, all participants feel encouraged, inspired and above all retain their joy at being involved in playing classical music. In one instance, a young singer said he had been singing music theatre until recently. He then heard songs by Richard Strauss (nothing could be more different) as a result of which he was hooked on Lieder! The way in which our competition operates begs the question – should all competitions be run along similar lines? Or does this imply that Bach’s B Minor Mass is something to be taken lightly? Does this prepare aspiring young musicians to enter the profession with rose-tinted spectacles when they should be aware of the arduous work and fierce competition that lie ahead? Does this give them a false impression that all competitions are going to be staged in a similar manner? In an age when competitions abound and spring up like mushrooms, I believe the more encouragement one can give school-age youngsters the better. They need to be inspired, their sheer joy of being involved in classical music requires fostering as much as possible and nowadays, where there are so many competitions, to have one that does these in spade loads says a lot. It’s instantly noticeable if the music comes from within a musician who plays from the soul. Likewise the opposite where the playing is automatic and the delivery forced. Dare I say it, but some of the performers from specialist music schools display this. There is always the expectation that these youngsters are bound to be brilliant but we’re often disappointed. With all this in mind, this is where the Festival’s own competition comes into its own. The environment that is provided gives each entrant such stimulus that nerves are frequently dispensed with so that they can play with such expression that technical limitations don’t matter. Their overall love of music-making in a performance is all that matters regardless of whether they enter the profession or not and that the inspiration we give them will help them in later life. Classical Music Can Help Dogs Relax, Apparently! UK classical music festival followers who have been to any of the events put on by the Two Moors Festival are sure to know that we have a festival dog – Flora. She’s a beautiful German Shepherd that has certainly heard more than her fair share of classical music (she’s reliably informed us that her favourite is Bach!). But what she has kept under her proverbial hat is that classical music actually has a very calming effect on pooches, with a new study by the Scottish SPCA revealing that it can actually decrease stress levels of dogs in rehoming centres. Significant decreases in stress levels (measured by heart rate, behaviour observation and saliva samples) were registered after classical music was played, with male dogs responding better than females. Less time barking was also seen while the music was being played – something to remember, perhaps, if your dog is a bit of a loud mouth. “Although by the end of the week their heart rates and behaviour associated with kennel stress had returned to normal, the initial findings are very encouraging and show that classical music does have a positive impact on the dogs’ welfare,” Gilly Mendes Ferreira of the Scottish SPCA remarked. This isn’t the first time that the relaxing benefits of classical music have been suggested for animals. In 2013, for example, keepers at Noah’s Ark Zoo Farm in Bristol found that their tigers and lions responded positively to Classic FM, while a survey back in 2002 conducted by Belfast University found that dogs were more relaxed and better behaved when listening to classical music than when listening to pop or heavy metal. 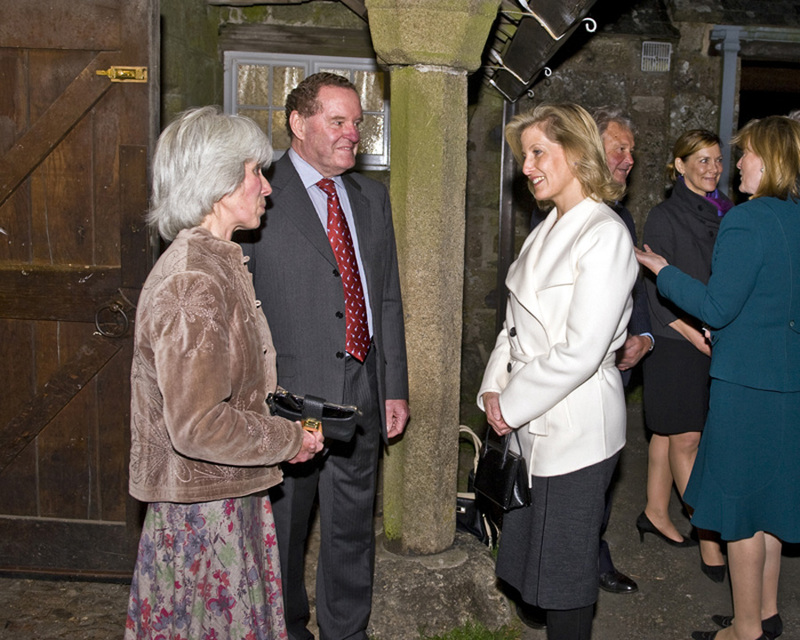 Happy 50th Birthday, HRH Countess Of Wessex! 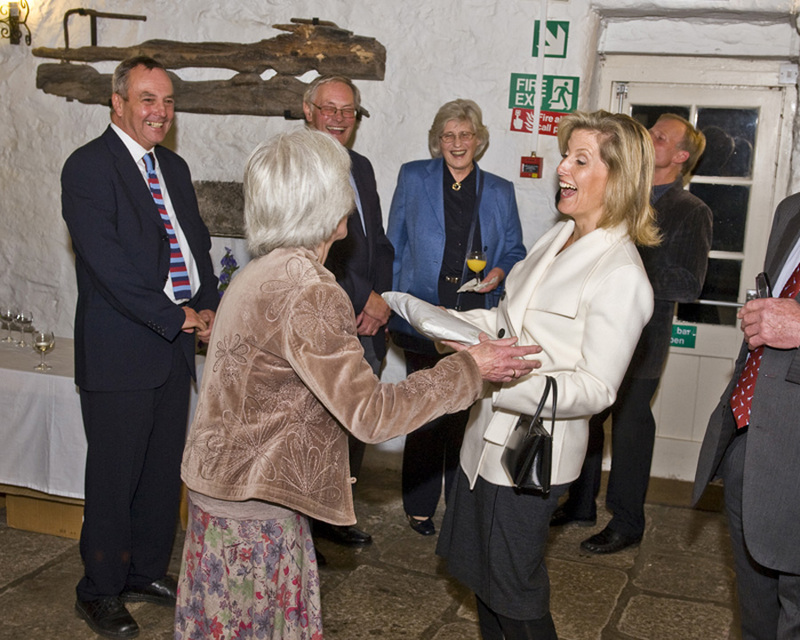 We’d just like to wish the patron of the Two Moors Festival, HRH The Countess of Wessex, a very happy 50th birthday. As Penny wrote yesterday, she’s always so supportive of the work the festival does and we couldn’t hope for a better patron. Here’s hoping she has a lovely birthday, surrounded by friends and family, with lots of lovely cake and presents.